The two best animated films of 2014 happen to come out on the same day on Blu-ray, tomorrow, June 17, 2014. One was even nominated for the Oscar this year (but not released domestically) and the other is likely to WIN the Oscar next year (unless “The Box Trolls” lives up to my sky-high expectations). One has already been seen by millions of people around the world and the other you probably haven’t even herd of. And both are magical in their own, special way. 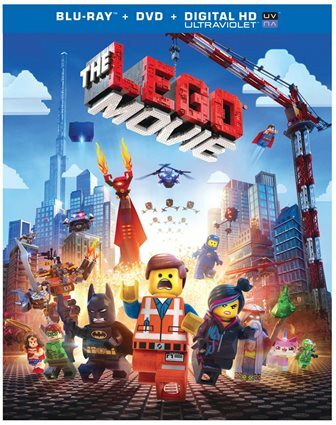 The movies are, of course, “The Lego Movie” and “Ernest & Celestine.” You probably know about the former—a delightful, smart, poignant look at the power of imagination that also happens to serve as the best feature-length commercial for a product that I’ve ever seen (I’d love to see stats on how much LEGO sales have increased since the flick was released). The latter is a gorgeous, moving French fairy tale about a unique friendship that forms between a mouse and a bear. It’s a hand-drawn beauty that attempts and accomplishes very different things than “The Lego Movie” but you really should see them both. Now. You’ve probably seen “How to Train Your Dragon” and maybe even the excellent sequel, now in theaters. As is often the case when a sequel is released, the previous blockbuster gets a new special edition Blu-ray/DVD/Ultraviolet release. It’s kind of a lackluster release if you already own one of the best animated films of the last decade but it’s a solid special edition if your rugrats happen to be interested in the sequel and you want to see the film that started it all. 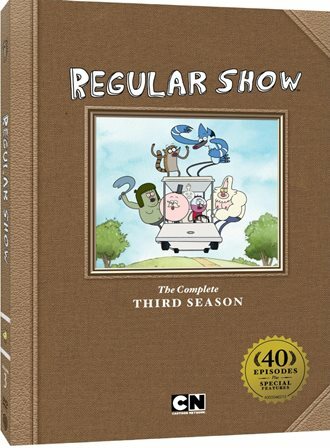 Finally, there’s a bit of animation entirely distinct from “The Lego Movie,” “Ernest & Celestine,” and “How to Train Your Dragon” — Cartoon Network’s glorious oddity “Regular Show,” the third season of which comes out tomorrow in a nicely-stacked DVD that includes episode commentaries. “Regular Show” doesn’t get the attention of the admittedly-superior “Adventure Time” but it’s still totally worth a look. Over seven hours of “Regular Show”? Sign me up. o Get a brick’s-eye view of Emmet’s crazy adventures, then see how bricks were born in Bringing LEGO to Life! Have nonstop fun with a Director/Star Commentary, Outtakes, “Everything is Awesome” Sing-Along and Much More! Deep below snowy, cobblestone streets, tucked away in networks of winding tunnels, lives a tiny mouse named Celestine. 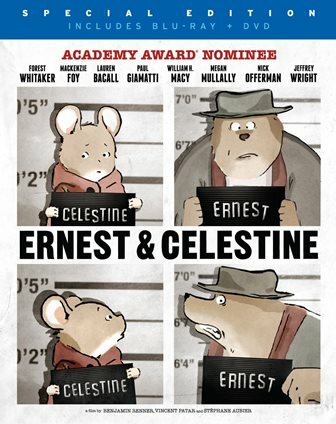 Unlike her fellow mice, Celestine is an artist and a dreamer, and has a hard time fitting in. When he nearly ends up as a breakfast for a grumpy bear named Ernest, the two become fast friends and embark on an adventure that will put a smile on your face and make your heart glow. o More Behind-The-Scenes Dragon Fun! o Four Things You Didn’t Know About J.G. 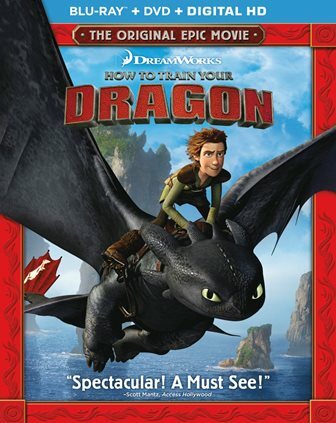 “How to Train Your Dragon” is now available on Blu-ray; “Ernest & Celestine,” “The LEGO Movie,” and “Regular Show: The Complete Third Season” will be available on June 17, 2014.